Just a quick Thank You to all those faithful souls here on HancAquam and in the parish who have offered me advice and prayer for losing weight. 1). I love food. But I do not confuse food with love, respect, honor, etc. Food is food. And I love it. 2). I have total control over my eating. There have been times--when it really mattered to me--that I dropped 20, 30 lbs. When I was asked to serve as chaplain for the UD students on their Greece trip, I dropped close to 35 lbs b/c I knew there would be LOTS of walking/climbing involved. 3). When I have breakfast, I want to eat all day. Skip breakfast and I'm good 'til dinnertime. 4). Keep the meat, veggies, bread, fruit. . .give me ice cream! I've been here a week now with full access to a car and cash and not a spoonful of ice cream has crossed my lips. 5). While some use tobacco, alcohol, etc. for relaxation, I use food. I get hyper (not hungry) and food does the trick. 6). Caloric restriction diets don't work for me simply b/c I am constitutionally incapable of being disciplined enough to keep track. Any diet that requires anything remotely related to math is going to fail. 7). Diet pills usually contain substances that rev up one's metabolism. That makes me hyper. See #5. 8). The only diet that has ever worked for me is Atkins. I lost about 70 lbs in eight months. However, when finals time rolled around, I cracked and OD'ed on peanut butter cookies and ice cream. 9). Exercise poses a problem. I'm too fat to be comfortable exercising but losing weight means exercising. So, my solution is hold off exercising 'til I've lost a little weight. Getting to that point w/o cracking is the challenge. 10). Fast food (Burger King, Wendy's) is a fav of mine. In Rome, this poses no problem and I never missed them. Here, I have to watch out. My solution is to go to Subway. So far, so good. P.S. I've ordered a book that comes highly recommended: Why We Get Fat and What to do about It. A new bishop. . .
Fr. Charles Morerod, OP, former rector of the Angelicum in Rome, becomes His Excellency, Charles Morerod, OP, Bishop of Lausanne, Geneva, and Fribourg in Switzerland. Please pray for His Excellency's people. . .he has a really corny sense of humor. If you've ever talked to an evasive teenager or an American politician, you know what it feels like to ask a question and get a non-answer. You might get an excuse or an accusation or a counter-question. Regardless of the form, the response you get isn't what you were looking for. Or even close. Listening to Jesus answer questions from the Pharisees and scribes could lead us to think that he's very much like a teenager with something to hide or a politician looking to say as little as possible. If you don't have ears to hear, it sounds as though he rarely—if ever—gives a straight up answer. However, if your ears are tuned to the Word—the prophets and their divine message—you can easily hear exactly what he's saying. Today's gospel is the perfect example of this! John sends some of his followers to question Jesus, “Are you the one who is to come, or should we look for another?" Jesus' answer is crystal clear. . .if you've listened to the the Lord proclaim to the prophet Isiah, “Turn to me and be safe, all you ends of the earth, for I am God; there is no other! To me every knee shall bend; by me every tongue shall swear, Saying, 'Only in the LORD are just deeds and power. Before him in shame shall come all who vent their anger against him. '” Jesus answers John's question by recounting his own powerful deeds and by blessing all those who take no offense at him. Jesus' response to John's disciples is extraordinary. Without saying so outright, Jesus lays claim to his Sonship with the Father and announces to anyone with ears to hear that his ministry of healing and reconciliation is not only divinely approved but of divine origin. It can be nothing less. Jesus himself is Lord. Everything he does, everything he says is the word and deed of God. Luke reports, “At that time Jesus cured many of their diseases, sufferings, and evil spirits; he also granted sight to many who were blind.” Those healed by his hand are healed by God. Those freed from demons by his hand are freed by God. The poor who hear the good news of freedom from his mouth are freed by the Word of God himself. Jesus' answer could not be clearer: it is Lord God who has done these things! So, take no offense that sinners are turned to obedience; that the lame walk, the blind see, the mute speak; that the promised Messiah is among you. Blessed are those whose eyes see and whose ears hear. Indeed, we are blessed, if we will to be blessed. Our Father's outrageous generosity, His overwhelming love is indiscriminately given, freely offered to any and all who will receive it. Those whom Jesus healed were healed b/c they took in the power he sent to them. They were made right b/c they welcomed in his righteousness and ran the streets shouting their thanksgiving and praise. No longer strapped to their afflictions, they were let loose to rejoice, to spread the Good News of divine mercy, showing themselves as living witnesses to what happens to those who accept the gift of the Holy Spirit's love. We are blessed if we take no offense at the Father's generosity and give Him thanks when His voice speaks a liberating word to our chains. While we wait on the coming of the Lord, ask His Holy Spirit to reveal to you all that blinds you, all that deafens you; ask the Spirit to show you whatever or whoever it is that mutes your voice in praise and thanksgiving. If you cannot see or hear, if you cannot speak as a witness to grace, ask the Spirit: why? Why am I blind, deaf to the Word and not healed; why am I hungry and not fed? His answer may be: you have not received all that the Lord has given you. I uploaded an audio recording of Sunday's and yesterday's homily. The hosting site is reporting that these two homilies have been downloaded twice. This stat leads me to ask: 1) is there a problem with the download that I need to know about? and 2) is there any interest in these podcasts? Please let me know. Uploading is hardly a chore and if there's a problem I'd like to fix it. 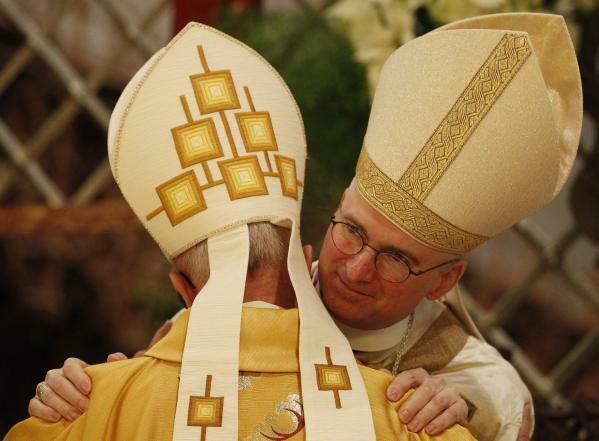 Cardinal John P. Foley has died at 76. R.I.P. I had the privilege of meeting him once in Rome at a North American College dinner. Great man! Nobody's going to the movies anymore. . .and Hollywood is blaming everything under the sun except its own obsession with anti-American propaganda and scenes that would make rapists in Sodom and Gomorrah blush. Speaking of Hollywood. . .have you heard about the pervasive culture of pedophilia out there? No, I didn't think so. The Old Media has nothing to gain from spreading that news. It's not like a priest is abusing a kid or anything! 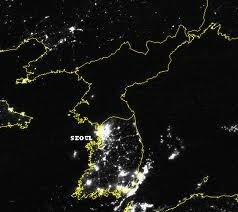 Ahhhh. . .the Glories of a People's Socialist Republic! Where income equality and opportunity are guaranteed. Speaking of the Glories of a People's Socialist Republic. . .fear of Big Gov't is at an all time time. There's hope for America yet, folks! But shouldn't we fear Big Business more than Big Gov't? No. Big Business doesn't have a police force, a military, prisons, and it cannot make laws. Should the Italian church pay taxes on its commercial property? Seems fair to me. Can/should extraordinary ministers of holy communion give blessings? No. The proper thing to do is say to the person, "May God bless you." Riots: First World Problem version. I don't know why. . .just laugh and move on. Titanic: the Movie. . .economy version. I wouldn't sleep if I were you. . . Meanwhile at the Burger King. . .
Just last week the Holy Father's household preacher, Fr. Raniero Cantalamessa named the Blessed Mother the model of the Church's new evangelization. This is completely unsurprising given that we have considered her the model of the Church almost from Day One. That she should also be imitated as the principle example of how Catholics are to reclaim western culture for the Lord is, well, the most natural thing imaginable. Mary's submission to a lifelong vocation of humble service as the mother of the Christ—“Behold, I am the handmaid of the Lord”—shows us the way to be our perfection in her son. Her fiat—“May it be done to me according to your word”—shows us the way to receiving the Father's Word through the Holy Spirit. If we could achieve even for a moment the clarity and determination this young woman showed when confronted by Gabriel, we could bring this world to its knees before God. And more importantly, we ourselves would be brought to our knees in repentance and radical conversion. During her life on earth, our Blessed Mother had one substantial advantage working in her favor: her immaculate conception. We do not enjoy this singular, unrepeatable privilege; however, we can and do enjoy the immeasurable benefits of her intercessions for us before the throne of God. With her help, following her example becomes more than just a possibility. We could ask whether or not Juan Diego had an idea that his encounter with the Blessed Mother would transform a culture. Did he suspect that her appearance and his report of her appearance would spark an international devotion and set the Church on a path toward evangelizing Central and South America? As a poor Aztec farmer only recently converted to the faith, we can guess that none of what followed from his meeting with the BVM ever crossed his mind. In fact, his story sounds quite a bit like the one we heard this evening. A perfectly ordinary soul is made extraordinary by an encounter with what appears to be a divine being. Mary meets Gabriel and receives the seed of God's Word in her womb. Juan Diego meets Mary and receives an icon that revolutionized a culture. Both Mary and Juan listened to the voice of God's Spirit and acted according to their respective gifts; each took away from their encounters all that they could carry, all that they could possibly share. And no matter how many of their abundant gifts they surrendered to the work of the Gospel, they remained full of grace. Mary and Juan both lived and died as witnesses to the freely given and boundless abundance of the Father's love for His people. If you and I will reclaim creation for the work of God, we too must live and die as witnesses of a mercy so deep, a love so wide that not even the most vicious enemy of God can withstand the onslaught of His call to repentance. This means—at the very least—that we live each day in the eager anticipation of being called upon to receive God's Word and act accordingly; to be visited by divine grace and share that grace without meagerness or reluctance. To become ourselves angels, messengers sent to announce the goodness and beauty of the Lord. And to invite, to provoke, to tempt everyone we meet with the open-handed offer that Christ's sacrifice on the cross made real: to live and die as a well-loved child of the living God. My thanks to Robin O. for the Kindle Book! I need prayer. . .please. Yesterday at both Masses I celebrated I asked the people present to pray for me as I begin the LONG SLOW process of losing weight. When I was a college freshman in 1982, I weighed 200lbs and wore 36in pair of jeans. Now, at 47, I weigh 336lbs. and wear a 52in. That's not only extremely embarrassing but incredibly life-threatening. There will be no diets, no pills, no gimmicks, no nothing that has failed miserably in the past. My plan: portion control and no fast food. I will weigh myself every Monday and report the results in the right side bar. Invoke angels, saints, the Blessed Mother, and the Holy Trinity to keep the Devil's wiles away from me, please! Add me to your fav nuns' prayer list--their effectiveness is truly scary. Throw up an occasional rosary or novena. Whatever you can do will be rewarded. Today's homily--"The Spirit of the Lord God is upon US"--is now available as an audio file! The spirit of the Lord God is upon US. . .
On a Delta flight from Rome to Atlanta a few days ago, I overheard one of the flight attendants talking to a woman waiting to use the restroom. I couldn't make out what she was saying exactly, but there was no mistaking her accent, Deep Southern. When she came back up the aisle I asked where she was from. She smiled and said, “Memphis!” I told her my family lives right outside Memphis in north MS. Her smile got a lot bigger. Being good southerners, we immediately launched into the southerner's favorite game of “Who's your family?” Who's your mama's people? Who'd she marry? Are we cousins? Turns out that we aren't related but that hardly matters. We know where we're from and b/c we know where we're from, we know who we are and what we are about. Catholics play a similar game: what's your parish? Who's your pastor? Where did you go to school? All good questions. But do the answers to these questions tell us what it is to be Catholic? What it means to be a follower of Christ, to be a child of God? When you come to face the Lord at last, he will ask, “Who are you?” How will you answer? The Jews in Jerusalem have their version of our Southern and Catholic games. They send priests to question John the Baptist. They ask him, “Who are you?” He answers, "I am not the Christ." A bit baffled, they continue, “What are you then? Are you Elijah?” No. “Are you the Prophet?” No. “Who are you? What do you have to say for yourself?” You can hear the frustration in their voices; you can hear their confusion and fear. They need to know who this desert freak is before they can decide whether or not to take him seriously; before they can decide what—if anything—to do with him! Is he dangerous? Crazy? Possessed? Who is this guy and what is he up to? So, what does John the Baptist have to say for himself? He says this: "I am the voice of one crying out in the desert, 'make straight the way of the Lord. . .'" Well, that's certainly. . .um, helpful. You're a voice. . .a voice crying out in the desert. . .and you are crying out. . .“make straight the way of the Lord”? OK. Can you tell us what that means exactly? What does it mean to be “a voice in the desert crying out 'make straight the way of the Lord'”? John answers, “. . .there is one among you whom you do not recognize, the one who is coming after me, whose sandal strap I am not worthy to untie." Who is John the Baptist? He is the one who comes before the Christ to announce to God's people the advent of the Lord. Now, who are you? You, all of you. Sitting here in St Dominic's Church, New Orleans. Who are you? We know that John is the herald of the Lord. He's not the Christ. He's not a prophet. He's a forerunner, a harbinger. Christ has yet to be born, and John is his living, breathing birth announcement. So, who are we? We can't be heralds or harbingers of Christ's advent in 2011. Christ has come; he's arrived; he is here! We can be forerunners of his coming again, his second coming. We can be the announcers of his return to us. Even better: we can be the Christs and the prophets that John could not be. Christ's own baptist, his death, and resurrection have made it possible for us—each of us—to be not only priests, prophets, and kings but Christs as well. Not simply followers of Christ, not merely members of the Church, not just pew warmers on a chilly Sunday morning/evening. We can and are made and remade to be Christs. Christs for one another. Christs for the poor, the sick, the hungry, the oppressed. Christs for those who do not know God's mercy. Christs for those who persecute us. Christs for anyone and everyone who feels the nearly irresistible tug of the Father's love. That's who are we and that's what we do. Listen to this slightly edited version of Isiah's proclamation: “The spirit of the Lord God is upon US, because the Lord has anointed US; he has sent US to bring glad tidings to the poor, to heal the brokenhearted, to proclaim liberty to the captives. . .to announce a year of favor from the Lord and a day of vindication by our God.” We are the temples of the Lord's spirit. We are the anointed of God. We are the heralds of abundance, comfort, freedom. And we are the clarion voices of His favor and the prophets of His forgiveness. How is this possible? It was made possible by life, death, and resurrection of the Christ. When we were baptized, who we were died, the life we lived before vanished, and we were reborn in the image of the one who lived and died for us. That makes us Christs. . .as yet imperfect. . .but men and women nonetheless gifted with all we need to be made perfect. Our task now is to receive what God has given us and use these gifts to love the unlovable; to forgive the unforgivable; to suffer the insufferable; to pray in thanksgiving, to pray in gladness and joy, to pray always and most especially for those we most despise. Christ died once for all; as Christs we can work for nothing less. How do we grow in this necessary holiness? How do we use God's gifts to come to Christ's perfection? Our brother, Paul, writes to the Church in Thessalonica, “Rejoice always. Pray without ceasing. In all circumstances give thanks, for this is the will of God for you in Christ Jesus. Do not quench the Spirit. . .” Do not quench the Spirit. . .of gratitude, of rejoicing; the Spirit of Truth and Goodness and Beauty that created from nothing all that there is; do not quench the Holy Spirit who gave Mary a son; who graced Christ's baptism and named him Son of God; who set upon the dejected apostles and set them on fire for preaching the Good News; the one who possesses us even now, shaking us out of our dull complacency and demanding of us that we get on with the work of living day-to-day as the well-loved children of a ever-loving Father. Do you carry God's Word like a child in the womb? Do you call yourself a son or a daughter of the Most High? Do you burn with the Spirit's fire to proclaim the Good News? Do you reject this world's narcotic lure and keep your heart and mind pure in the faith? When you fail—and we all fail—do you seek God's forgiveness and receive His mercy? If you answer No to any of these questions, let me ask you another: who are you then? Who are you pretending to be? John the Baptist called his people to attention and baptized them in repentance. While they waited on the advent of the Lord, they turned themselves around to face his coming. They turned from disobedience toward obedience; from sin toward holiness. As we wait on the advent of the Lord, his coming again, we too hear John's call to attention, his message of repentance: turn from sin and receive our Father's love. The Lord comes. The day of our rebirth is close to hand!